(Last Updated : 14.04.18). DSSSB on 14.03.2018 declared additional result of post code 71/09 Assistant Teacher Primary vide result notice no. 627 dated 13.04.2018. Check DSSSB Assistant Teacher (Primary) Post Code 71/09 latest Revised Result, List of Rejected candidates & Pending candidates. DSSSB on 04.11.2015 directed 9 candidates of post code 71/09 Assistant Teacher Primary to report to DSSSB Office on 09.11.2015 11.00 A.M. along with Identity proof and copies of all documents. DSSSB revised the Result of Assistant Teacher (Primary) Post Code 71/09 vide Revised Result Notice No. 423 dated 21.08.2015. DSSSB has revised this result as per the Result Notice no. 372 dated 18.05.15 in which the pending 14 candidates were called for submission of documents. See Revised Result, List of Rejected candidates & Pending candidates. Earlier, DSSSB revised the result on the basis of the Revised Marks List vide Result Notice No. 372 dated 18.05.2015 in supersession of Result Notice No. 339 dated 12.09.14 and Result Notice No. 341 dated 01.12.2014 for the post of Assistant Teacher (Primary) in Dte. of Education, GNCTD under post code 71/09. DSSSB uploaded the Revised Result on the website of the board along with the Rejection Notice No. 373 dated 18.05.2015. 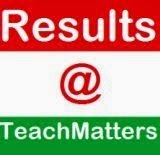 Candidates can check their Revised Result at the below links. In continuation of Result Notice No. 339 dated 12.09.14, after verification of pending candidates' documents, DSSSB had declared additional list of 46 provisional selected candidates for appointment to the post of Assistant Teacher Primary Post Code 71/09 in Department of Education, GNCTD. DSSSB had also issued Rejection Notice to 67 candidates of post code 71/09 and their candidature for the post of Asstt. Teacher Primary has been canceled by DSSSB due to various reasons. The result of 80 candidates has been kept pending due to reasons mentioned against their names in the remarks in the list of Pending Result. See additional lists of provisional selected candidates, Pending Result and Not Eligible Candidates below. DSSSB had declared the final Result of 365 Posts of Assistant Teacher Primary, Post Code 071/09 whose exam was held on 25.08.2013. The result had been prepared on the basis of written examination held on 25-08-2013 whose Result was declared in March, 2014 and eligibility regarding educational qualifications, age etc. as per Advertisement No. 04/09 and RRs for the post of Asstt. Teacher (Primary), Post code 071/09. The total 365 candidates were provisionally selected and recommended for appointment to the post of Asstt. Teacher (Primary), post code 071/09 in Department of Education, GNCTD. The result of the 145 candidates had been kept pending due to various reasons and they were hereby directed through this result notice to visit the Board’s Office on 30-09-2014 day between 10.0 AM to 01.0 PM with all their original and attested copies of admit card, educational qualifications/experience/Caste Certificates/02 passport size photograph.